I love to splash and splish. Come and swim with me! 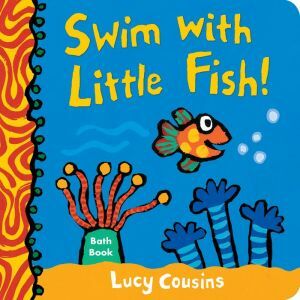 Join Little Fish and friends as they dip and dive beneath the sea. Red Fish flips and flaps. Yellow Fish swirls and twirls. Can you imagine what Mommy Fish does? Soft, squishy, and sturdy, this waterproof, wipe-clean book is perfect for babies and toddlers at bath time, high-chair time, or anytime.